Dr. Sarah Russ is a Graduate of National University of Health Sciences in Lombard, IL. Her practice focuses on fostering natural healing through various techniques and therapeutic modalities. Dr. Russ is passionate about empowering her patients through education and providing customized care to assist them in achieving the highest level of well being and function. This practice has a very special atmosphere that is inviting, warm and relaxing. 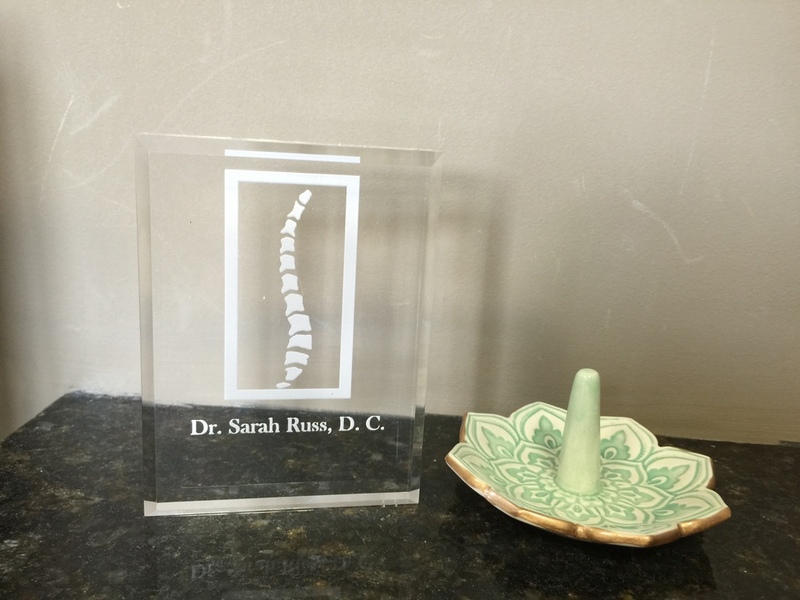 Dr. Sarah Russ believes in making patients feel comfortable and confident throughout their treatment, recognizing that patients play a key role in their own healing process. Please feel encouraged to contact Dr. Sarah Russ’ office by phone or on the web with any questions that you may have. Your interest is welcomed and will be responded to promptly. Commitment and dedication make this practice stand out and her patients feel like members of her family. Wishing you Health and Happiness All Ways! To learn more about Dr. Russ, her staff, and her mission. Click below. Ready to take the next step? Call Dr. Russ to schedule an appointment today!